Be it a leisure centre, a school or a working environment, all locker rooms need some furniture. We can provide all the equipment to kit out your changing room. 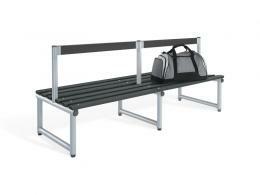 Changing room benches, lockers, uniform lockers, clothes hooks and rubber matting. Made from high quality materials, our locker room essentials are built to last. Within the locker pages, we have made sure that it is as easy as possible to select exactly what locker you need. This allows you to select your required size, the number of doors you need, the colour you need and more. Looking for sloping tops? You've got it! We have a variety of locker room benches to suit all rooms. Our benches with a single pair of legs are perfect when pipes are present in the changing room. We offer benches with storage space - such as an under shelf. Our double sided changing room benches and double sided benches come with hooks. 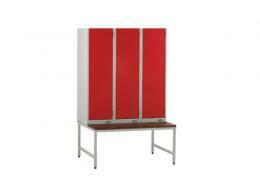 A variation of lockers essential for all changing rooms, educational and working environments. 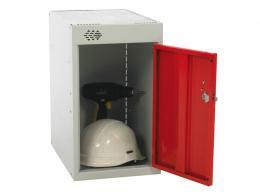 We have metal and plastic lockers, mesh lockers and small cube box lockers. 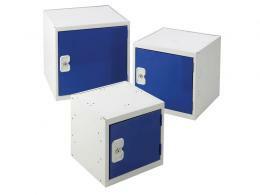 Our laptop storage lockers are ideal charging lockers for mobile phones too. Wall mounted coat rail, comes in wood or plastic. Available with a variety of rails, ranging from 5 hooks to 14 hooks. The wooden option also allocates room for hat storage. A simple (yet vital) tool for locker rooms. 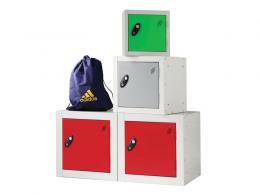 Perfect for making the changing facilities a much safer environment. Reducing the chance of people slipping over and getting injured. Our wide range of lockers come with a one-year warranty and a Price Promise to match any price. Buy your perfect storage solution direct today and get speedy free delivery. We accept all major credit cards, including Maestro, MasterCard and Visa. Plus we accept payment via PayPal.